One of the top seeds at the 2015 Madrid Masters event is its defending champion Rafael Nadal, who will look to overcome a turbulent first quarter of the season to complete a successful title defence campaign in his home country of Spain. He will begin his week in the second round, where he will contest a intriguing match-up against Steve Johnson for the first time on the ATP World Tour. 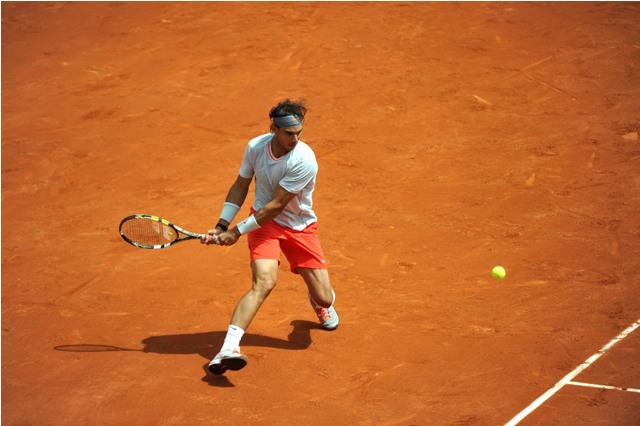 The clay-court king has suffered some unexpected losses on the red clay this season. While Nadal holds 329 clay court wins to just 27 losses in his career, he has already compiled three losses so far this season on clay, two of which came against Fabio Fognini. He has only won 1 of four clay court tournaments this season on his beloved surface and is faced with the issue of confidence in himself and his abilities following another injury layoff. Most recently, Nadal lost his third round match in Barcelona to Fabio Fognini in straight sets. It was surprising, given that took on his longtime rival Novak Djokovic in an entertaining semi-final battle the previous week in Monte Carlo, and while he succumbed to the in-form Djokovic 6-3, 6-3, it was a far more competitive battle than the scoreline suggests. Overall, while he was pushed to three sets against the likes of John Isner, Nadal finds solace in the fact that he was able to pull through various obstacles en route to the final four of the tournament. Nadal’s first opponent this year in Madrid is Steve Johnson, who reached the second round of the tournament with a three-set effort against Colombian Alejandro Gonzalez. The American rallied from a set down, struck 11 aces, won 77% of his first service points and saved five break points to close out the match 4-6, 6-3, 7-6(4) in two hours and 19 minutes. This will mark the first meeting on the tour between Rafael Nadal and Steve Johnson. Nadal will be highly motivated to work his way out of the recent slump and an impressive showing against the American is exactly what he will be looking to achieve.